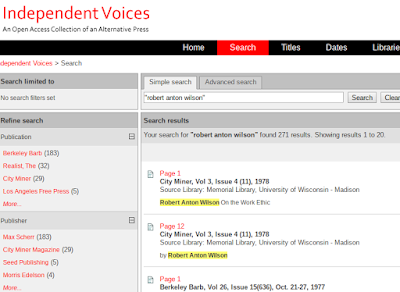 Another interesting discovery from Martin Wagner: You can search for "Robert Anton Wilson" at Independent Voices ("An Open Access Collection of an Alternative Press) and come up with a lot of RAW material. 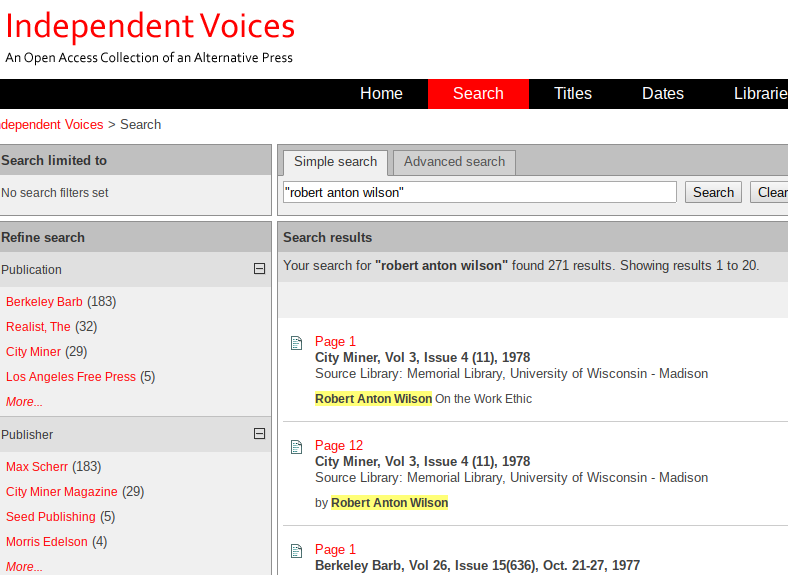 It will be useful, sometime, to see what doesn't overlap with http://rawilsonfans.org/, and to add to the links there. 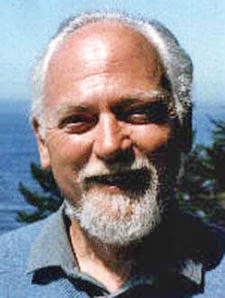 Includes stuff from Berkeley Barb, The Realist, City Miner and more. Thanks, Martin!